Send our Merry Everything Present which is a arranged in our ceramic two-piece present. 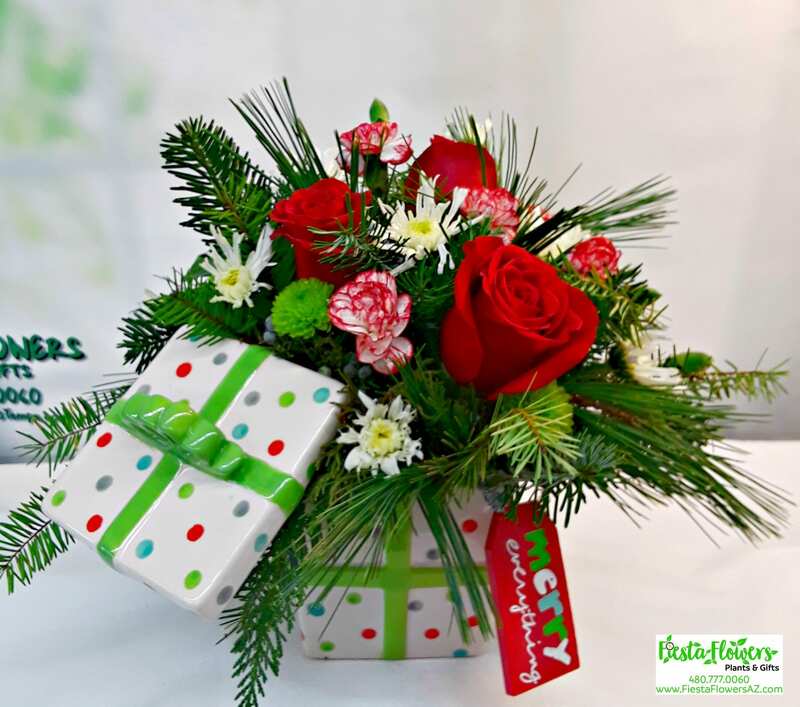 Lush Holiday greens, red Roses, white Mums, and Holiday Mini-Carnations are perfect for a table decoration or desk. Upgrade for additional Roses.